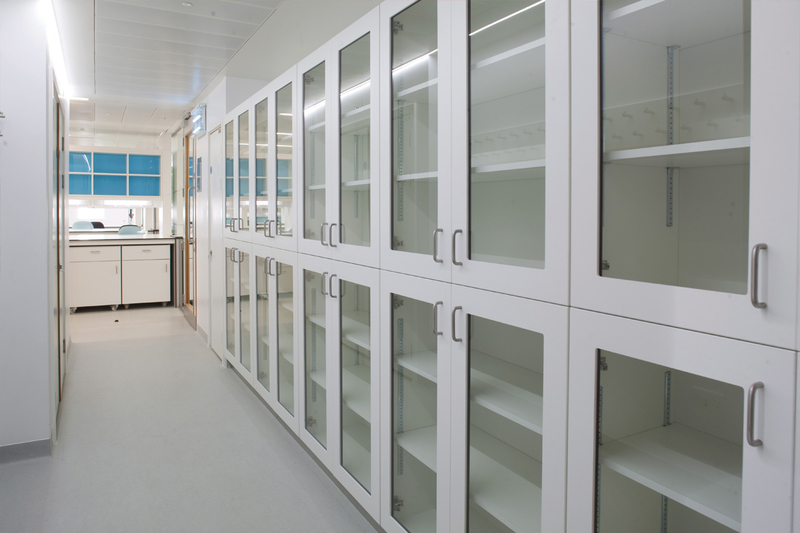 Glass fronted tall storage units. 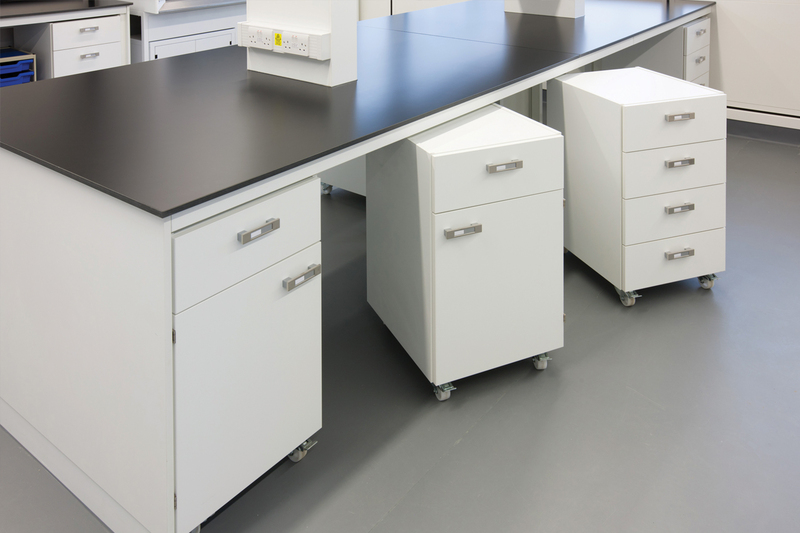 Mobile pedestal units on locking casters. 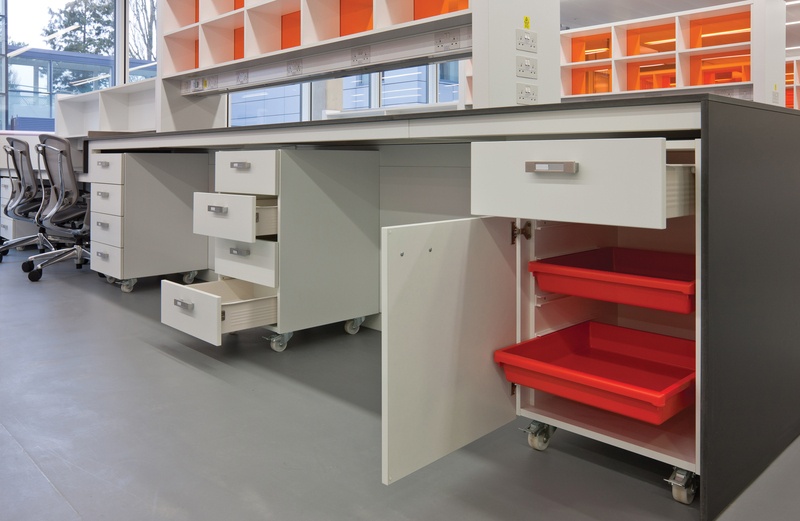 Fixed supporting units with above storage. 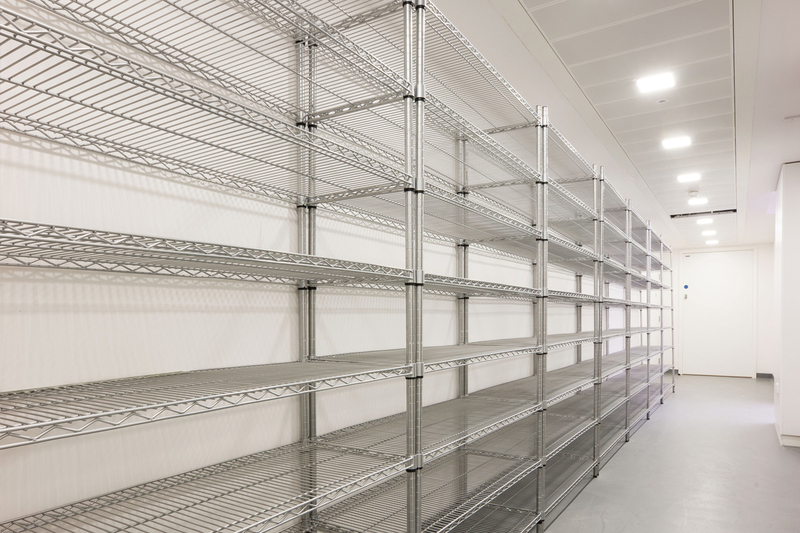 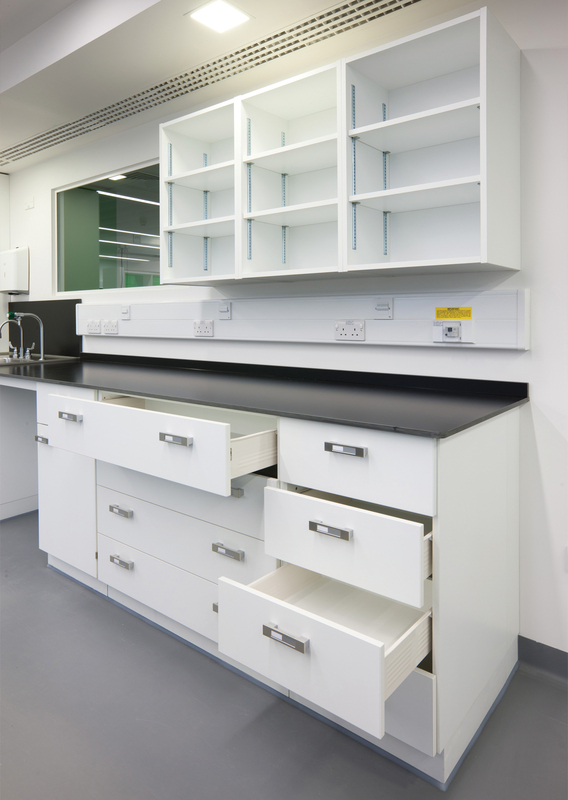 A wide range of racking is available from epoxy coated to stainless steel in a large number of size configurations.